Sober Look: What is replacing the yen as a "safe-haven" currency? What is replacing the yen as a "safe-haven" currency? 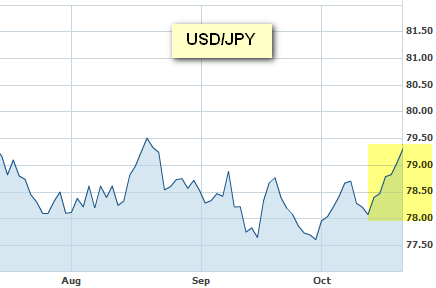 Last week the yen did not act as a safe-haven currency. Typically in a "risk-off" market the yen rallies, with investors moving funds out of riskier assets. That hasn't happened recently. Investors are a bit more nervous about Japan these days. 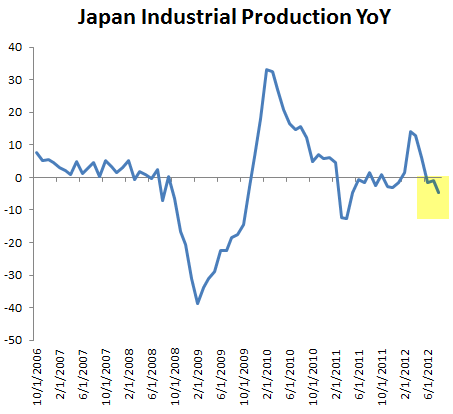 The spat with China (see discussion) continues to be a concern and Japan's economic indicators look quite weak. Industrial production and capacity utilization are down and the country could potentially face another round of negative GDP growth - which has become commonplace in recent years. But that's not the only reason traders have turned away from the yen. They are concerned about BOJ ramping up its quantitative easing program - which is a negative for the yen. The central bank has slowed its balance sheet expansion recently, but it could be just a matter of time. There is also talk that Japan could interfere in the currency markets directly as a response to the Fed's recent action. US quantitative easing will likely weaken the dollar, putting pressure on Japanese exporters - and Japan would need to weaken the yen in response. 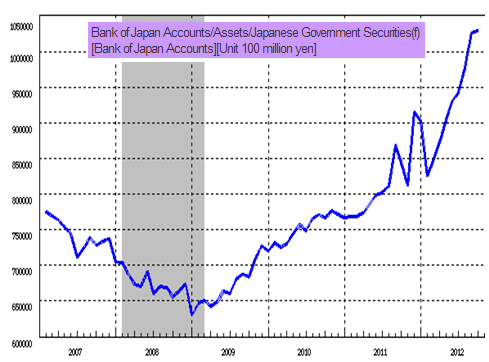 Given these trends are making the yen potentially an unpleasant place to be, where is the capital flowing these days? It looks like the new destination is Hong Kong. Reuters: - The Hong Kong Monetary Authority (HKMA) stepped in to the currency market on Saturday for the first time since December 2009 as capital inflows strengthened the Hong Kong dollar, causing it to hit the top end of its trading range. The HKMA sold $603 million worth of Hong Kong dollars at the strong-side of the trading range of HK$7.75 to a U.S. dollar in a move that will lift its aggregate balance -- the sum of balances on clearing accounts maintained by banks with the authority -- to HK$153.3 billion on October 24. "The recent increase in demand for the local currency is related to a less strained European market, weakness in the USD and declining US interest rates, which have prompted capital inflows into currency and equity markets in the region," an HKMA spokesman said in a statement. The Hong Kong dollar (HKD) is a pegged currency (to USD) with fairly low downside risk. 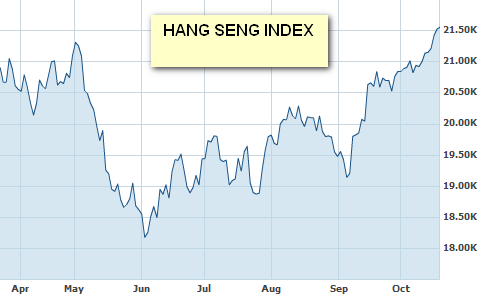 If anything the HKD is more likely to be adjusted up. Hong Kong's equities sold off sharply in the spring but have been rallying since early summer as global asset managers are increasing allocations to the city-state. Some view Hong Kong as a safer play on China's market recovery. Whatever the case, it seems that traders have found a new "safe-haven" currency - for now.